Learn how to assess the safety of bolts and lower-off's when sport climbing outside with this handy guide. Essential gear for traditional rock climbing. Everything you need to kow about nuts, micro nuts, hexentrics and camming nuts. Fall off and dangle in comfort, whilst carrying all the kit you need by wearing the right harness. Read all about them here. Confused between half, double and twin ropes? Unsure when to retire your trusty sport rope? So were we, until we read this handy ropes guide! We've come a long way since the heavy fibreglass hell of old school helmets. Help decide on the best helmet for you, and learn how to look after it and when it should be retired. This handy booklet discusses how to care for your climbing and mountaineering equipment, and when to throw gear away. It is made up of 11 brief chapters with key advice - such as causes of degradation and discard criteria - on the full range of technical equipment from karabiners to ascenders. The Crampons and Ice Axes booklet looks at the range of crampons available for different types of boot, and their suitability for different mountain activities. It also discusses ice axes, and the differences between axes for walking, mountaineering and technical climbing. The booklet does not cover winter climbing or walking techniques. 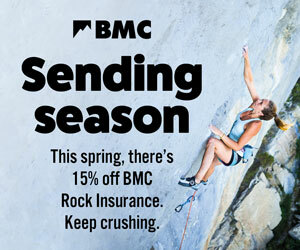 Watch this and many more gear videos on BMC TV. when i clicked on the free download for the care and maintenance booklet, i got sent to the shop to buy it but there was no sign of the free download.